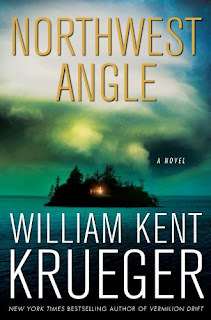 William Kent Krueger has delivered another fine novel with "Northwest Angle." This is a story with picturesque settings, a suspenseful plot that is unpredictable and a strong message about life. Cork O'Connor takes his family on a vacation, feeling that his daughters at age 24 and 21, are getting older and there might not be many more opportunities. When a destructive story called a derecho develops, Cork and his older daughter, Jenny, are separated from the other members of the family who are on a houseboat. Cork and Jenny end up on one of the many islands on the Lake of the Woods in Minnesota, on the U.S. Canadian border. Separated by the storm, Jenny arrives first and hears the faint whimper of a baby. Later, she discovers the body of a young woman who had been murdered. The woman had signs of being tortured and Jenny assumes that the woman was the child's mother. As Jenny and Cork ponder their rescue, they wonder who killed the girl and what to do if that person returns. This is a story where there is a true dicotomy between good and evil. Cork's sister-in-law, Rosa, is also on the trip and is on the houseboat. She had been considering entering the convent when she met her husband, Mal. He was a priest before his marriage to Rosa. There are a number of times during the story when bad things happen to good people and the other characters wonder why God would allow this to happen. Then, there seems to be an answer to this question. As the story continues, Cork and Jenny are trying to keep the baby safe and believe that those pursuing them might be in league with the devil. The story is rich in American Indian history. Cork is part Ojibwe and can relate to the other American Indians. Cork's son, Stephen, truly demonstrates his spirituality and communication ability with other American Indian characters, in particular with the wise elders. Stephen learned from Henry Meloux, a healer, who understands the harmony of life and how to use nature to restore that harmony if it is lost. I read the story compulsively and enjoyed the characters while wondering how they would escape from their situation. Cork's character was nicely described with his love of family, his pride in being an American Indian and his background as a lawman and wanting to bring criminals to justice. The twist the author provided added to the intelligence of the story and the satisfaction with the conclusion. Giveaway ends at midnight, August 12th. 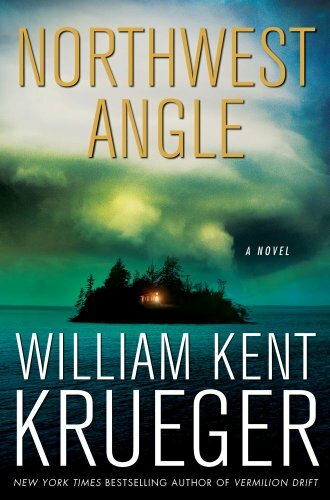 use the above link to find my review of "Northwest Angle" and at the end, indicate that the review was helpful. in the comments section, indicate that you wish to be included in the giveaway and provide your email address so I can contact giveaway winners. Because of postage costs that are paid by me, U.S. and Canadian residents only. 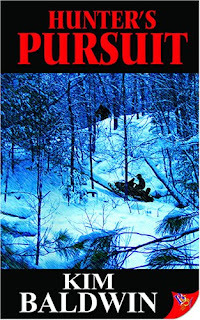 Kim Baldwin's "Hunter's Pursuit" introduces a female character in a world normally populated by men. Surprisingly, this woman has the ability to do anything her male counterparts can do, and in many cases, she does it better. Kat "Ktarzyna Demetrious, is known as Hunter. She's a confident woman who takes command in any situation that develops and works as a freelance bounty hunter and assassin. She also possesses exceptional instincts for survival. 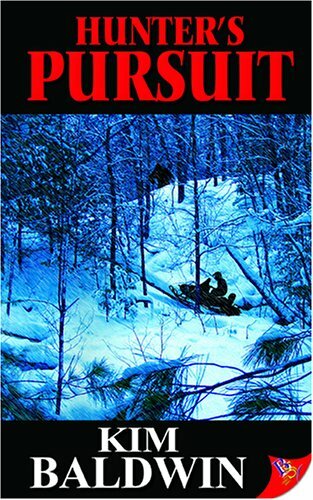 Kat has been considering retiring and as the story unfolds, she lives in a bunker cut into a hillside in a wilderness area in northern Michigan. She notices a car going too fast in the snow. When the car skids off the road and the driver is unconscious, Kat brings the injured woman into her home, fearing that if Kat left her, the woman would freeze to death before help arrived. head. There are two takers, one is Kat's acquaintance, Otter, and the other is a woman. When the injured woman awakens, she can't remember her name and tells Kat to call her Jake. Even though Kat has concern that Jake might be the woman hunter, Kat feels drawn to her. Other assassins are on Hunter's trail and as she avoids these would be killers, she wonders if the woman she saved and who she has become attracted to, could be the person that she should fear the most. This is a different kind of action story with the two women developing feelings toward each other. The characterization is strong and Hunter and Jake are very likable characters who the reader enjoys learning their story and wishing for their success. In addition, the wilderness area in northern Michigan is well described and the cold and storm that exists outside of Kat's hide away is a good juxtaposition to the warmth inside with the cozy atmosphere that Kat built into her home and the warm feelings of the characters toward each other. "Dust to Dust," immediately catches the reader's attention and holds it like an iron grip, as the action unfolds with the forces of good are pitted against an evil that could destroy the world. 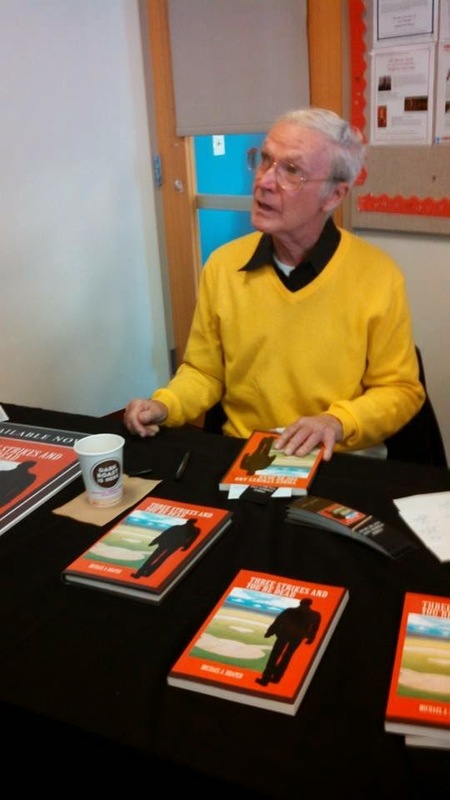 Scott Bryant is a regular guy who could be your next door neighbor. He's out on the town with a couple of friends. They come upon an elderly couple who are being attacked by a gang. Scott and his friends decide to involve themselves to save the couple. In the heat of the battle, the old man notices him and announces that Scott is Capricorn. With that pronouncement, Scott felt a tremendous serge of power come over him and he led the attack against the gang. Later, Scott has a dream of the Oracle and sees another, like himself, heading toward the Oracle. This Oracle is a saving place that had a meaning which Scott couldn't yet understand. However, there were many skeletons that seemed to be coming to life with evil intent. Melanie Regan is another character beginning to have talents and power that she didn't know she had. When an earthquake strikes L.A., a group of robbers attempt to steal items from a jewelry store and assault the young clerk who works there. As with Scott, Melanie shows her heroism and chooses to intervene without regard to her own safety. Suddenly, Scott is by her side and they work together to overcome the robbers and save the clerk. 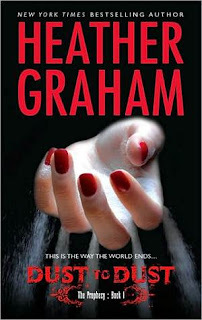 Heather Graham has a talent for making things seem possible and there is something about the bravery of these characters that is refreshing and makes the reader wish them success with their challenge. While they are helping others, we become aware of sinister forces that are forecast in the form of these skeletons that are coming to life and darkness is threatening. Told in a manner that reminded me of Stephen King's "The Stand," Scott and Melanie follow a spiritual summons to Rome to Sister Maria Elizabeth. Sister Maria Elizabeth is similar to Mother Abigail in "The Stand," who is an elderly woman and the leader of the good survivors. Both Mother Abigail and Sister Maria Elizabeth are beacons to others and they tell the characters that after others arrive, the battle for earth will begin. Heather Graham's work is always entertaining. The characters are realistic and well described. The plot of "Dust to Dust," is clever and believable. Giveaway will end at midnight July 29th. Under comments, indicate that you wish to be included in the giveaway and leave your email address for contact. 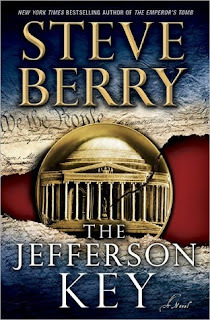 Steve Berry's novel, "The Jefferson Key," mixes history and fiction in a manner that is both enjoyable and intriguing. Cotton Malone is a former Justice Department operative. He goes to New York after being summoned by an email from his old boss. 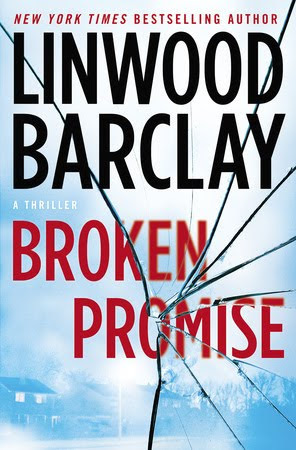 When he arrives at the destination, he is on time to stop an assassination that was planned for President Danny Daniels. He also realizes that he had been set up to take the blame if the assassination was successful. 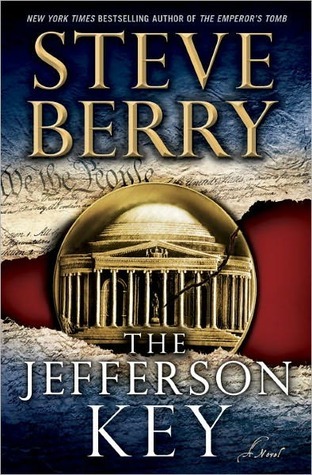 Going back in history, we learn of an attempt on President Andrew Jackson's life after which he accused a person named Abner of being the mastermind. He removes Abner's letter of marque from congressional records and offers a code so that Abner and his heirs would have a burning desire to find this and have a key to removing the President's condemnation of their acts. Jonathan Wyatt was a former agent with the agency and holds a grudge against them and against Cotton Malone. It is he who tries to set Malone up for actions against the President. There are a group of privateers or pirates whose forefathers were connected to Abner. They were sea captains in colonial times. Led by Quintin Hale's forefather, they accepted amnesty from England and acted against the Spanish on the seas. This group, known as The Commonwealth, would continue to act against enemies of the United States and sell their pirated goods on the black market. They also have their hands in four Presidential assassinations that have taken place. There is plenty of action, changing loyalties and political intrigue as we learn of the history of the pirates or privateers as they like to be called. We also follow the inquiry of how these Captains learned of President Danny Daniels' trip to New York to set up the assassination plot. Cotton Malone comes to life as a character that the President can count on. Quintin Hale is also a character who is different and of interest. 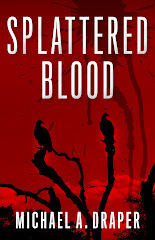 Although I had difficulty buying into the intricate plot, I found the story moved quickly and was interesting to read. With the puzzle that Jackson created and the rush to solve the riddle, readers of "The Da Vinci Code" will be entertained by this novel. "Play Dead" by Ryan Brown is a story that's just plain fun. The author mentioned that he wanted to write a story when he saw what was going on with steroids in sports and in this story, he certainly succeeds. Set in Texas, the story is also a satire about the fanatical following of high school football and the manner in which football can almost take over small town life. This seems particularly true in Texas but is often seen in southern and western states. In the story, the local high school football team, the Killington Jackrabbits, are having their best year and are only one win from going to the district championships. The key to the team is quarterback Cole Logan. He's attacked one morning by three steroid using members of a rival team, the hated Elmwood Heights Badgers. When Cole won't give in to their demand that he throw the game, they cut off two of his fingers. However, not thinking clearly, they cut fingers from the wrong hand and Cole is still able to throw the ball. When this doesn't succeed in stopping the Jackrabbits, the members of the Badgers, led by a sadistic player named Booker who has become almost insane due to his overuse of steroids, set a new scheme. The result of this is that they create a situation for the bus carrying the team to be in an accident but the accident is more severe than they could have imagined. The school bus plunges off a bridge and into the water below, killing the entire team, or maybe not. Both Cole Logan and the coaches daughter, Savanna Hickman, are entertaining characters. These high schoolers are drawn to each other in a love-hate relationship that is interesting to see and humorous in the situations that these teenagers find themselves in. Cole's next door neighbor Mona, is described as a crazy witch-lady who has an ability with black magic. With her participation in the story, there were elements that were very visual. I was reminded of Stephen King's "Pet Sematary," where animals return to life but eventually behave in a horrific manner. Overall, I would recommend this book for it's entertainment value and message about the abuse of steroids. The conclusion was a stretch but I think that readers who are interested in an adventure yarn and not care about the logic of the story would like this. 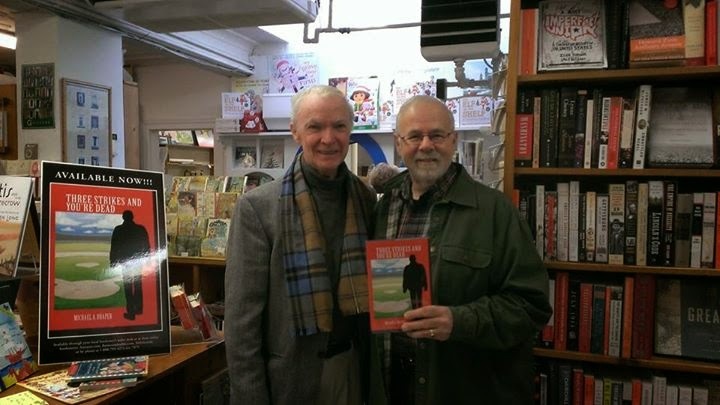 This story is told as a man in his nineties ponders the days when he was in his twenties and recruited to help in what was becoming the struggle against Germany in the days leading up to WWII. Thomas Danforth lived a pampered life and was engaged to be wed. On a wintry night, his friend persuades him to provide a place and cover for a young woman, Anna Klein. She was to b e trained for an ultra secret operation inside Germany. Her training will be in firearms and explosives. The reader follows the action that is presented in alternating chapters of Danforth's life today and his narration of the action in the pre-war days. Written with intelligence and literary excellence, we witness that Anna facing her assignment with a fatalism "...like a woman walking toward her future just as religious martyrs walked toward their execution sites..." It was as if this was where Anna might find her fulfillment. 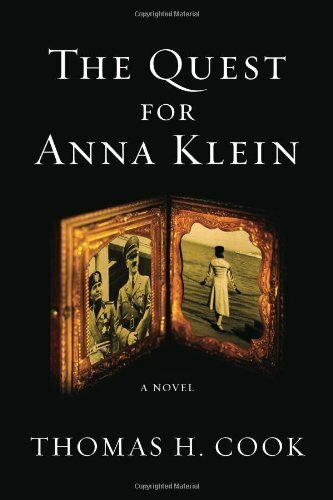 The reader knows what was going on in Hitler's Germany with his program against the Jews, but Anna doesn't. We witness her bravery and stoicism and appreciate her as a character. She is a private person as if she had been injured in some way and her reasons for taking this assignment are kept to herself. We are able to see glimpses of the evil in Germany and the brave few who were attempting to do something about it. It is a world of deception and treachery and we follow Anna and Thomas in nervous anticipation of what could be their eventual outcomes. Something goes wrong and Anna disappears and Thomas attempts to find her. The theme seems to be belief in oneself and having the courage to do something about an evil situation. Thomas H. Cook's work is always entertaining and with the courageous characters that come to life from these pages and an interesting plot, he has demonstrated his literary excellence in story telling. 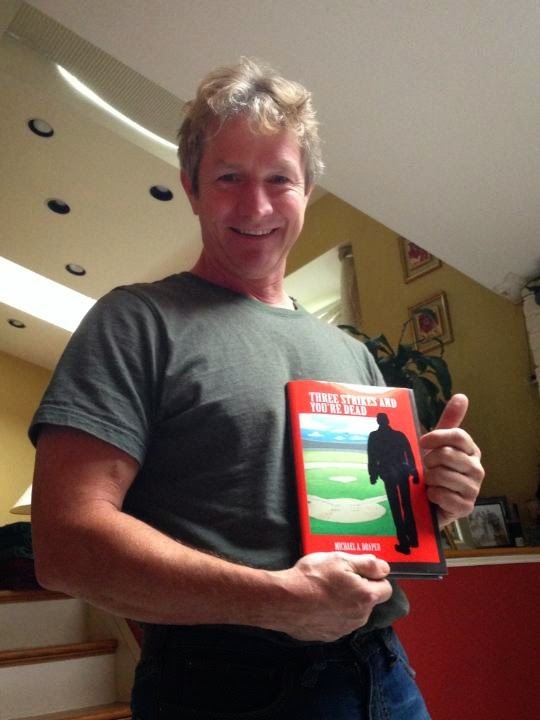 Check my Amazon book review. "Friends or Lovers," deals with a sensitive subject; sexual harassment in the workplace and the appropriate steps to take after a complaint is filed. Penny Layton is Head of Personnel at Innovation Center, Ltd. in England. She's fairly new at her job. She has a complaint against an employee named Mike who has been sales rep of the year for a number of years. Penny and the Director of Business Development decide to transfer Mike since this was the first complaint against him but would be sufficient to send a message that inappropriate sexual behavior is not tolerated. After Mike's transfer a number of his old unit request to be transferred with him and in a later meeting, Penny explains to Mike that the complaint didn't come from the employee named Elona but with another member of his team. Mike explains that this person didn't understand the situation and that Elona had a problem that he was attempting to help her with and had come to him in confidence. Therefore he wouldn't tell Penny anything more. The story is complicated but Penny is a hard working woman who is young and eventually feels that Mike was wronged and begins to have feelings for him herself. In an intelligent fashion, the reader witnesses Penny's thoughts as she meets a man named John. He is an academic and studies human relationships. The situation is complicated and the theme seems to be that one shouldn't act until they have all the facts. Also presented is the concept that it isn't always the man who is the aggressor and should be blamed. I found the story informative and feel that it wouldn't be bad reading for the personnel of larger companies so they can see what happens if the corporate employee takes the wrong steps and what can result from not having all the facts. Laurie and Victoria. Notifications have been sent to the winners. "Swan Peak," is a novel that displays James Lee Burke's rich character portrayals, detailed descriptions of the natural surroundings in western Montana and a suspenseful story that packs a punch. 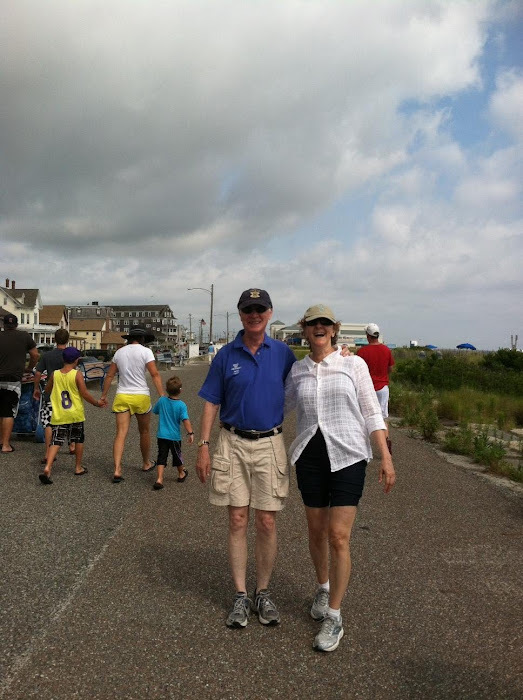 Dave Robicheaux, his wife, Molly, and best friend Clete Purcell, are on vacation in Montana after they had experienced the back to back devastation of hurricanes Rita and Katrina in New Orleans. 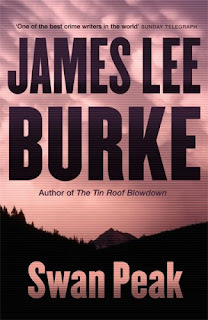 When a pair of double murders take place and the local sheriff seems overwhelmed, Dave and Clete offer their services. Ridley Wellstone, a wealthy Texan, wants to drill test wells for oil and natural gas on the Swan River. He accuses Dave and Clete of working for those who want to stop him. 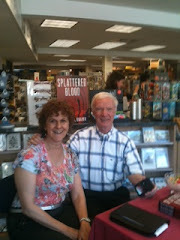 Ridley lives on a ranch with his brother, Lyle and Lyle's wife, country and western singer, Jamie Sue. A parallel story involves Jamie Sue's former boyfriend, Jimmy Dale Greenwood, who is the father of their child. Jimmy Dale is in jail for a minor offense and faces an intolerable situation involving Troyce Nix, a prison guard. Jimmy eventually cannot take what has been happening and escapes jail and heads north to Jamie Sue. As we find out more of the people who have been murdered and what is going on at the Wellstone ranch, we see why Dave Robicheaux is such a popular character. He is humble and not perfect, being an alcoholic who attends meetings regularly. However, he is also a protector of the poor and less fortunate people who are being taken advantage of by wealthy opportunists who don't think they have to answer to the law. Dave's sidekick, Clete, is a big hearted, dedicated Viet Nam vet who has a tendency to let his emotions get out of control. Yet, Dave calls him the bravest man he knows and a more loyal friend could not be found. With the contemporary theme of this novel, the excellent characters and plot twists, "Swan Peak," shows the author at the height of his writing excellence.